The education department of the Formentera Council announces the publication from Friday of admission information and waiting lists for the island's two escoletes, or “nursery schools”. For the 2018-2019 academic year, which starts Monday September 17, 60 of 67 families who applied received an affirmative response. As for those households on the waiting list, four have children in the nadó, or “newborn”, age group (for babies born in 2018) and another three are included in the group for one- and two-year-olds (born in 2017). There is no waiting list for children aged two to three and some vacancies still remain. Families can finalise enrolment from today, Friday June 15 to Thursday June 21, from 4.00pm to 6.00pm in Escoleta Sa Miranda. Release of the final waiting list will follow the close of enrolment. This school year, Escoleta Sa Miranda consists of seven classrooms—one for newborns and three each for one- to two-year-olds and two- to three-year-olds. With capacity for 30 students, Escoleta Camí Vell has just two classrooms; one for the one- to two-year-old group and another for the two- to three-year-old group. A total of 16 instructors form the teaching staff of both centres. They are joined by an educational aide, a director, a cook and a kitchen assistant. 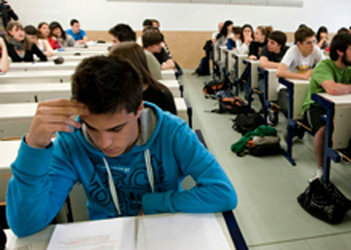 Working strategies are identical at the two escoletes and activities are organised jointly in weekly meetings attended by both Sa Miranda and Camí Vell teachers. The two schools share cooking staff. 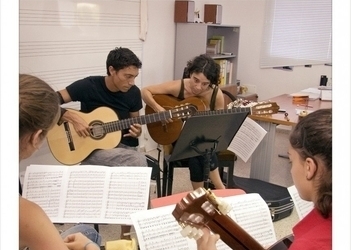 The culture and education departments of the Formentera Council remind islanders that pre-enrolment is ongoing for the 2018-2019 year at the island's Escola de Música i Dansa (School of Music and Dance). Students have until Wednesday, June 20 to pre-register, either in person at the Citizen Information Office (OAC for its initials in Catalan) or online at the OVAC. For returning students and new applicants alike, pre-enrolment is an essential first step for students who wish to attend classes in the coming year. The Escola's officially accredited course offering in music and dance spans two categories: elementary and professional. Students at the elementary level have their pick between transverse flute, guitar and piano. 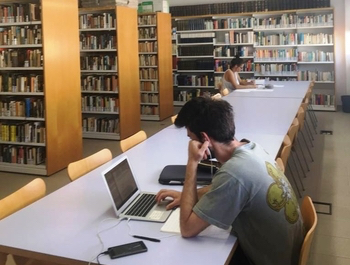 As a licensed educational centre, the Escola offers instruction that is reglat (“regulated”) and therefore officially accredited, as well as non-accredited studies. This particular feature means courses run the gamut. Options exist for students of all ages and all stripes, from “Initiation to Music” for six- and seven-year-olds to workshops on traditional music and professional musical studies. Moreover the open nature of the Escola's operations model makes for a course offering that is constantly expanding and evolving. 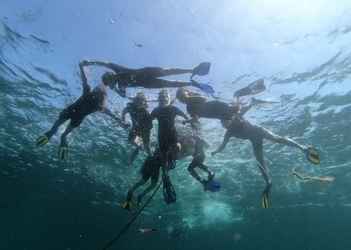 Roughly forty Sant Ferran pupils' headlong dive into the undersea world put them first in line to discover the values embodied in posidonia seagrass and the natural treasures enveloped by our sea. It is not the first time Formentera gives local schoolchildren the chance to take this particular plunge. This year a total of 110 students from Sant Ferran, la Mola and Mestre Lluís Andreu in Sant Francesc will go snorkelling in ses Salines nature reserve. After an earlier initiation with “Posi té un do”, the youth will now discover “El primer viatge”—the first and second chapters in a story about the secrets and adventures of Posi. Each student will be sent home with a copy of the story. The professional staff of Vell Marí diving centre facilitate the activities, which, in addition to financing from the Formentera Council, receive support from the Eivissa-Formentera foundation for conservation, Trasmapi and the Abel Matutes foundation. Forthcoming school excursions are scheduled for June 14, 18 and 19. The activity is part of Save Posidonia Project, which is aimed at educating people about the importance of posidonia. The undersea species and designated World Heritage Site is threatened by the unregulated anchoring of boats, sea water pollution, namely from inland sources like treatment plants, sewage (storm drains, oils and hydrocarbons), destructive fishing operations, invasive species and climate change.